Are you looking for the easiest and most effective way to quit smoking naturally without any side effects? Have you tried to quit smoking before but failed or relapsed after a while because you couldn’t resist your cravings? Do you want to feel healthy and strong again so you can live a long happy life with your family and loved ones? If you answered YES to these questions, then you are in the right place. Because this article will show you the easiest way to quit smoking. This is the same method that I used to help myself and thousands of smokers quit easily and permanently without feeling anxious or deprived. You see, every year only 6% of the smokers who try to quit eventually succeed. I used to believe that too when I was a smoker, and you might also feel the same way. See, the reason you enjoy, desire, need and even love smoking is that you believe it gives you some benefits. You probably believe cigarettes help you socialize, cope with stress and boredom, take a break, escape unpleasant situations, keep your hands busy, concentrate, enjoy your personal time or manage your weight. So you’re afraid that if you quit, you’ll be sacrificing all those benefits along with your ability to enjoy life and cope with your problems. And even if that fear is far from true, it still worries you. If you are like I was, quitting makes you feel like you’re giving up an old friend, a crutch… someone you can rely on. So you feel deprived, you fail to stop smoking and you end up blaming yourself. But let me tell you this: it’s not your fault. You’re just trying to quit the hard way. You FIRST stop smoking using the common quit smoking methods – willpower, nicotine gums, and patches, vaping, smoking pills- and THEN you wait for the magical moment where you will just stop wanting a smoke. But this moment never comes. Trying to quit and then waiting and hoping for your desire to smoke to disappear by itself is the hardest way you can stop smoking. But what if you did the opposite? What if you FIRST removed your desire for smoking and you THEN actually stopped smoking. Wouldn’t that make quitting easy and effortless? If you want to stop smoking naturally and successfully, you have to first stop wanting to smoke and then quit. So how can you remove your desire for smoking? 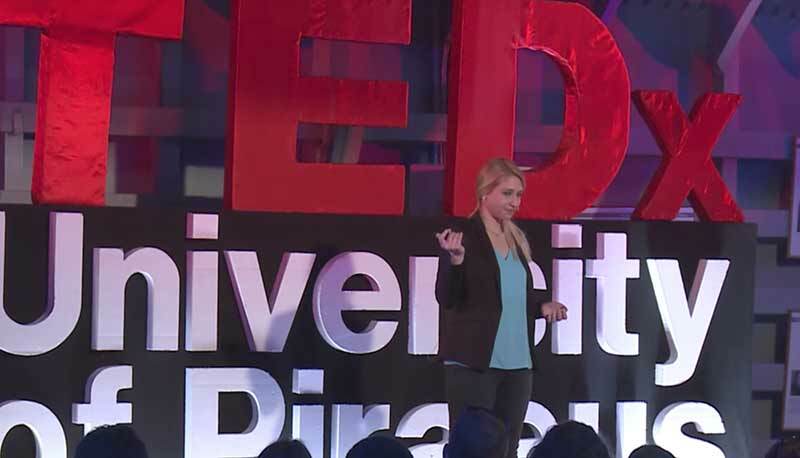 The Cognitive Behavioral Quitting (CBQ) method is a unique sequence of simple scientific techniques that removes your need to smoke. How? By showing you what to do with your mind and what to do with your hands so you can quit successfully. The CBQ is a natural method that requires no willpower. It simply removes your need to smoke because it follows the exact 4 stages that our brain gets attached or detached from a habit or addiction. The CBQ shows you new, effective and healthy ways to feel relaxed, concentrate, enjoy life, keep your hands busy, socialize, take a break cope with boredom BETTER without cigarettes. No other method does that. When you no longer crave cigarettes, you don’t feel deprived and stressed without them. And you don’t experience withdrawal symptoms like headaches, irritation or loss of concentration because there are no cravings to cause these symptoms in the first place. The CBQ cures the core reason why you smoke so you can enjoy your smoke-free without substituting smoking with food or any other crutch. The CBQ is the only method that shows you how to remain smoke-free even if you live or spend time with other smokers. The CBQ works for those who smoke more than 5 cigarettes and up to 3 packs a day and feel they need it. And it’s a world-recognized method because of its 94% success rate. 85% of smokers quit permanently on their first attempt and 9% quit on their second or third attempt. And it will work for you too. The CBQ method has 4 stages that take you from a smoker who loves cigarettes to a non-smoker who feels better without cigarettes. Yes, it takes only 4 steps to quit easily. 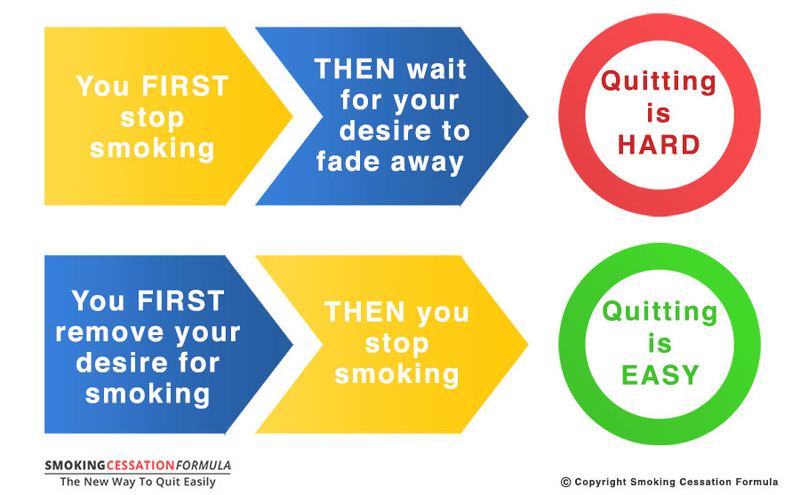 Following these 4 stages, in the right sequence, makes you first stop wanting to smoke and THEN shows you how to break the habit of smoking. These are the exact 4 stages that have helped thousands of smokers quit this habit and live a longer, happier and healthier life. So now that you know why the CBQ is the easiest way to quit smoking naturally, you might be wondering what are the 4 stages of quitting smoking and how you can apply them to your own life so you can also break free from this addiction. I have created a foundational video where I walk you through the 4 stages of the CBQ method. What are the 4 stages of quitting smoking and how they help you quit easily. What you have to do to get started with each stage. How to stop smoking naturally without willpower so you can be healthier and happier without cigarettes. This video is 100% free. Just enter your name and email address here so I can send you your video. P.S. This introductory video will walk you through the 4 stages of the CBQ method. You will learn what each stage does and how it will help you become a nonsmoker. These are the exact 4 stages that have helped thousands of smokers quit easily and permanently. Where Should I Send You The 4 Stages ? I agree to receive emails from you about quitting smoking. 🔒We hate SPAM and promise to keep your address safe.